Over the years, musicians from all over (Mexico, Panama, Argentina, Guatemala, Brazil, Africa etc.) have played a part in both recordings and live shows, whether as protagonists, participants and collaborators. ENTRE COCHE Y ANDEN has benefited most of all from playing live, an experience which truly manages to transmit the magic and heat this group is all about. They’ve taken their songs and good mood to all kinds of places; playing in the street, in the underground, at cultural centres, small and big concert venues, on ferries, in bull rings, at festivals, on the radio and on TV. 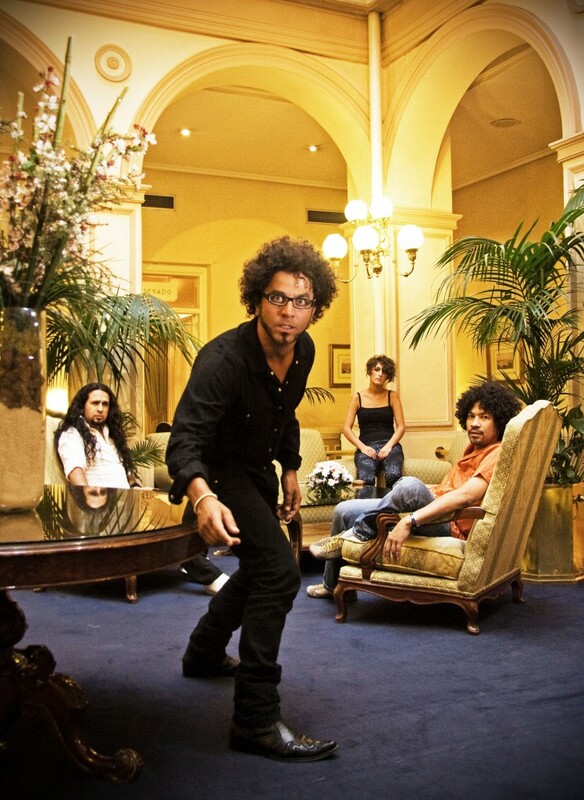 In 2006 the group brought out “La Cabra tira al monte”; their first self-produced album, with the help of some great friends and artists like Amir Haddad of “Radio Tarifa”, Carlos Sardui of “Ojos de Brujo”, Miki Ramirez of “Macaco” and “Mr Kilombo”, Juan Tamazo of “La Cabra Mecanica”, Johnny of “Burning”, “Caracoles” or “Armando sin el Expreso de Bohemia”. In March of 2011 they began touring “La fascinante Aventura de Vivir”, an EP produced, recorded and mixed by Juan de Dios Martin at Casadios. The tracks were mastered by Juan Hidalgo at Mastertips Mastering. Their 2011 tour “Lazos Musicales” sawENTRE COCHE Y ANDEN perform across Guatemala and Mexico with the Guatemalan group “Horchata Regular Band”. Currently, Angel and the ensemble are preparing his new album, which will be live recorded during their Summer 2016 tour.